Plantains look like bananas but tend to be bigger than bananas. Most people don’t know what plantain is because whenever I talk of plantains, I will have a lot of Americans asking me what are plantains. 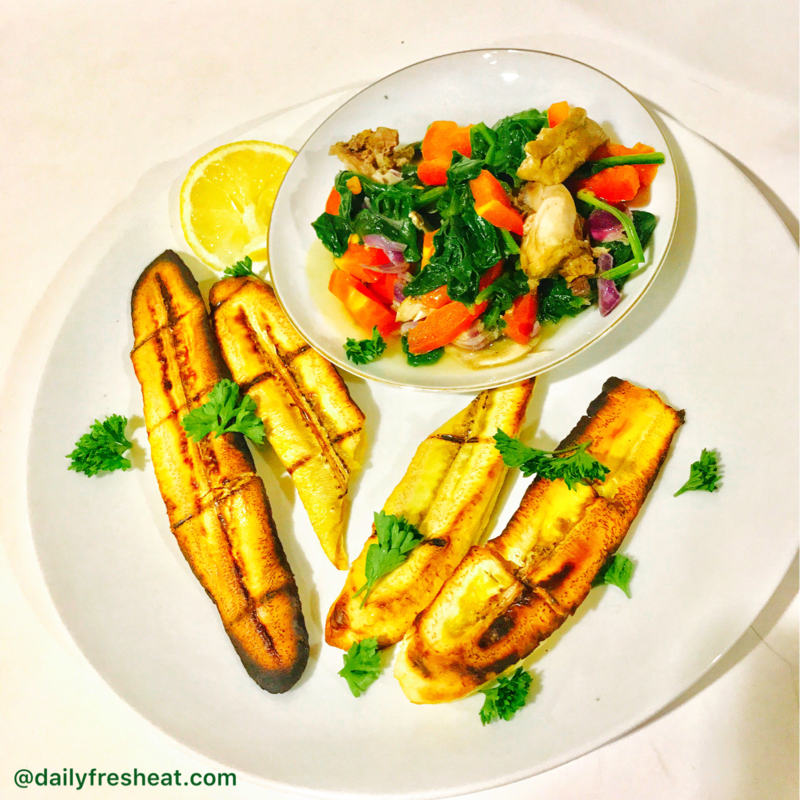 There are different ways to prepare your plantains, depending on what you want at that particular time and they are mostly cooked. Plantains are starchier, it has less sugar than bananas. Even though plantains are well known in other countries, plantains are not that common in the U.S., but they are in most large grocery shops. Plantains have a lot of health benefits such as a great source of potassium, it helps to regulate the digestive system, it reduces the number of harmful free radicals, it helps to boost the immune system, it promotes healthy brain function, and it’s a great source of magnesium. So, I grilled my plantain with some vegetables to go with it. I will be kind enough to share the recipe with you. It’s simple and tastes great. 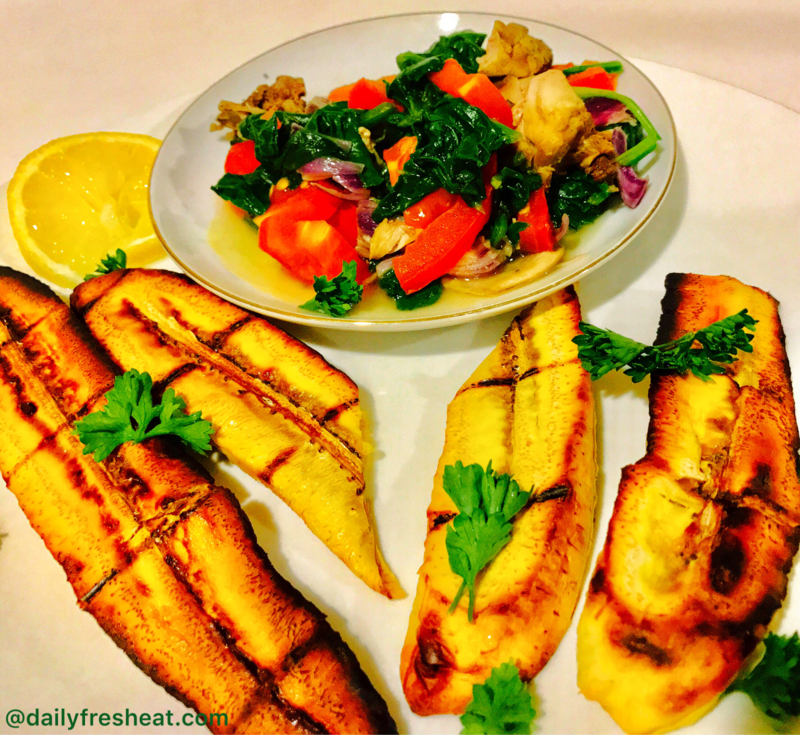 • Wash the plantain and cut straight in half, then place in the oven to grill. Usually, it does not take more than 10minutes (depending on how you want it). After 7mins turn to the other side. • Once it’s done, turn off the oven. • Cut the chicken into small sizes, season and place on the stove to cook. • Wash and slice the tomato, pepper, onions, and spinach and set aside. • Once the chicken is done, drain the water to remain a little, add the spinach, the tomato, the onions, pepper and coconut oil. Then cook for a minute or less. I always like my vegetables to half cooked. Then it’s ready. 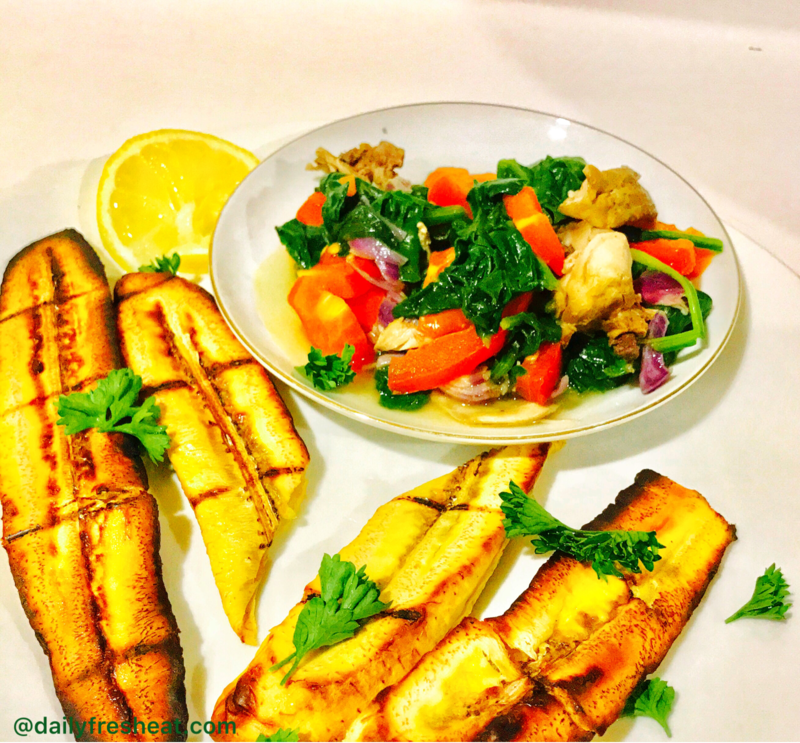 Serve the grilled plantain and lemon wedge.